This beautiful Coyamito Agate features a pastel yellow, white, and orange banded fortification floating in light amethyst translucent chalcedony. Measurements are 1x2x1 inches. Photographed wet. This beautiful Coyamito Agate pair features unusual pastel colored fortifications and a reddish pink chalcedony core. Measurements are 1.75×1.5×1.5 inches. Photographed wet. 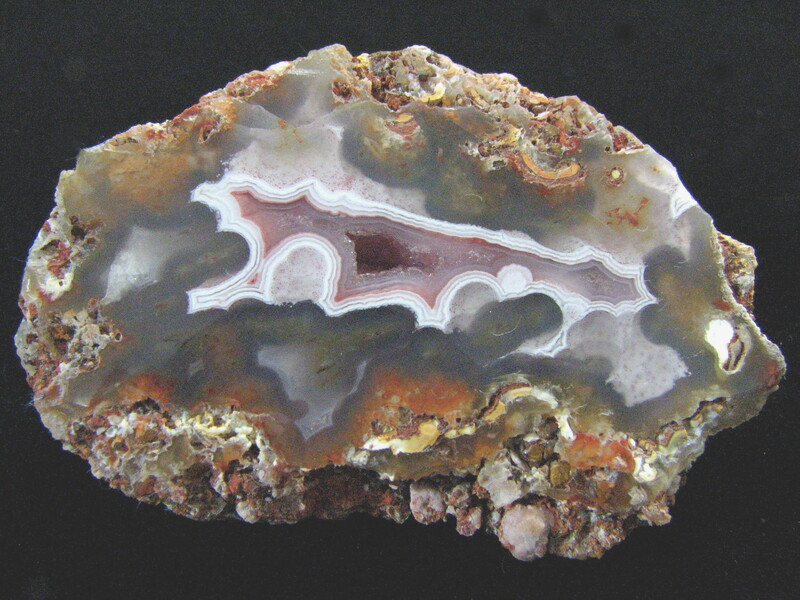 This Coyamito Agate features subtle white banded fortifications in clear chalcedony and an orifice entrance with yellow inclusions. Measurements are 1.5×1.5×1/2 inches. Photographed wet. This beautiful Coyamito Agate pair is a shadow agate featureinig yellow and pink banded fortifications, tubes, and a gemmy quartz pocket. Measurements for the geode are 1.5x2x1.25 inches. Photographed wet. This beautiful Coyamito Agate pair features delicate nicely colored fortification bands surrounding a light and dark amethyst core. 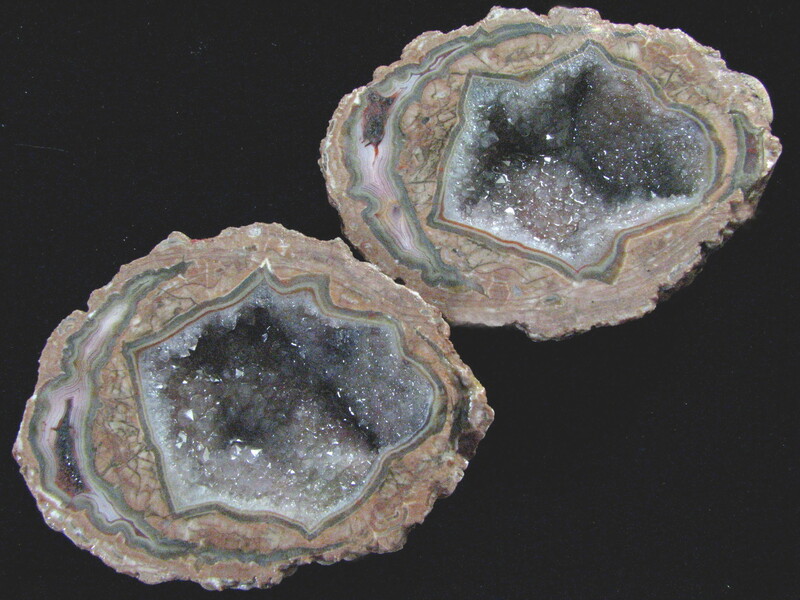 Measurements for the geode are 1×1.5×1 inches. Photographed wet. This soft yellow Coyamito Agate features yellow banded fortifications floating in semi translucent chalcedony. Measurements are 1.25x3x1.25 inches. Photographed wet. 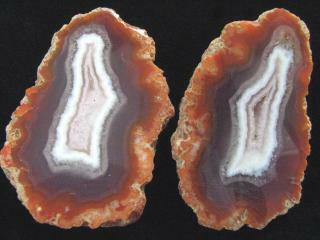 This beautiful polished banded amethyst Laguna Agate nodule measures 46x65x23 mm. Photographed dry. 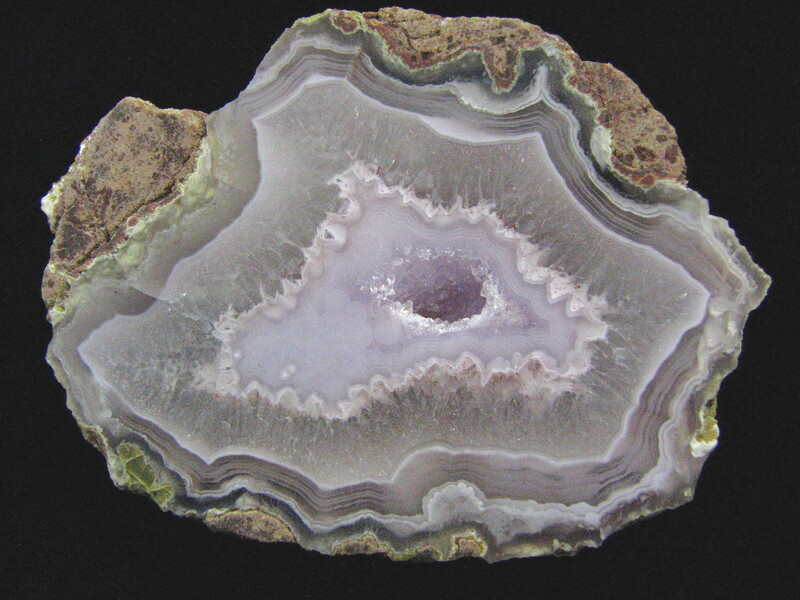 This beautiful polished banded Laguna Agate features an amethyst core surrounded by bright white bands and a quartz pocket. Measurements are 42x64x28 mm. Photographed dry. This is a polished pair of Laguna Agate nodules featuring white banded cores surrounded by brown and amethyst colors. Measurements for the nodule are 45x70x60 mm. Photographed dry. 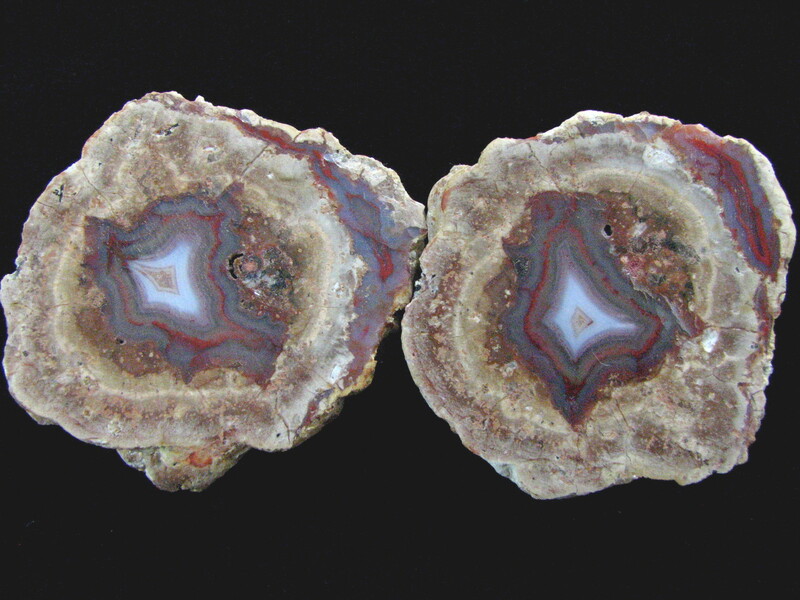 This beautiful polished Laguna Agate pair features an intricate banded red, blue, and white core surrounded by rustic looking matrix. 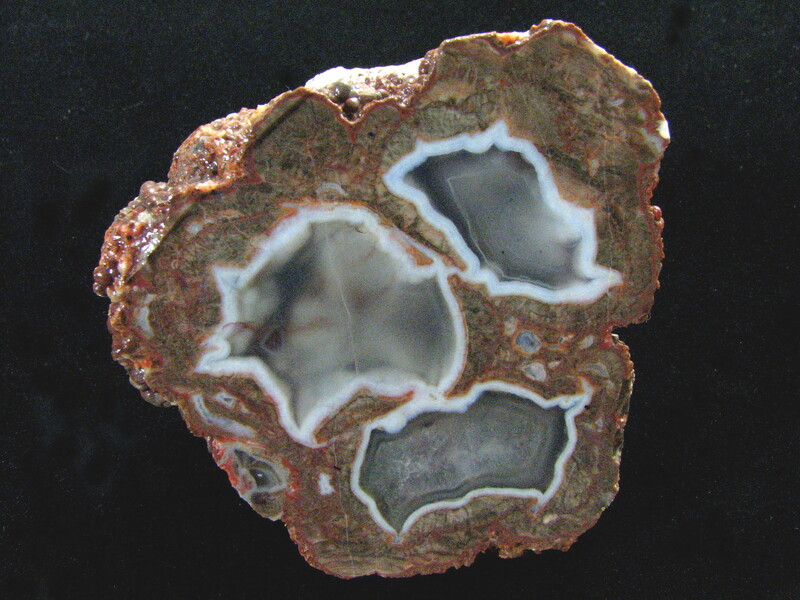 Measurements for the complete nodule are 52x56x50. Photographed dry.